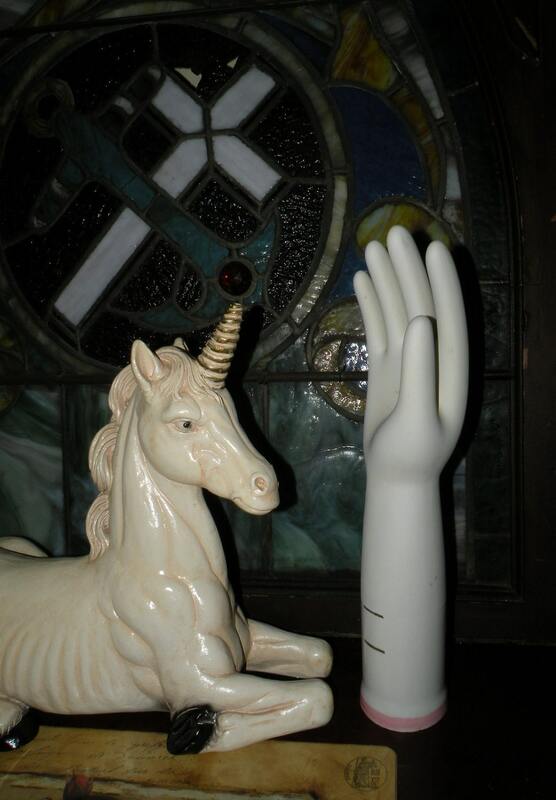 White vintage glove molds blend in nicely with your decor. A good industrial statement piece or paint them to add color in your life. A huge stock of rescued vintage glove molds from the 40s to the 80s available in RetroChalet Etsy shop. Violetta is it’s name, and yellow is it’s color. 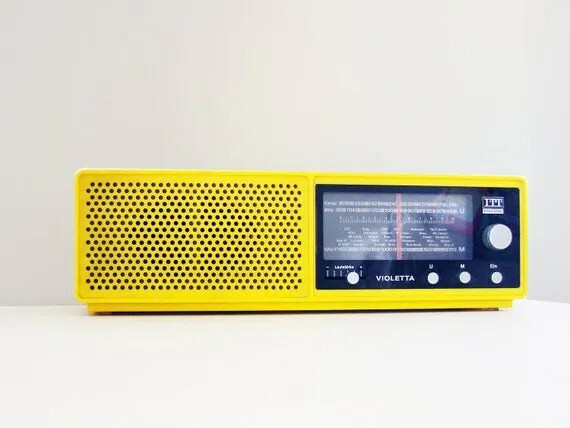 This gorgeous rare radio is like no other I’ve seen. It’s unique sunshiny color may just wake you up without having to set the alarm. It is available in the RetroGustoMenta Etsy shop! 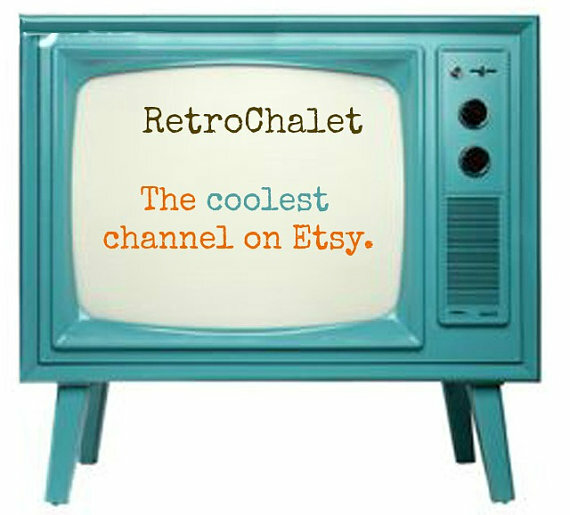 Leave it to Etsy vintage sellers to find the best in retro rainbow finds. 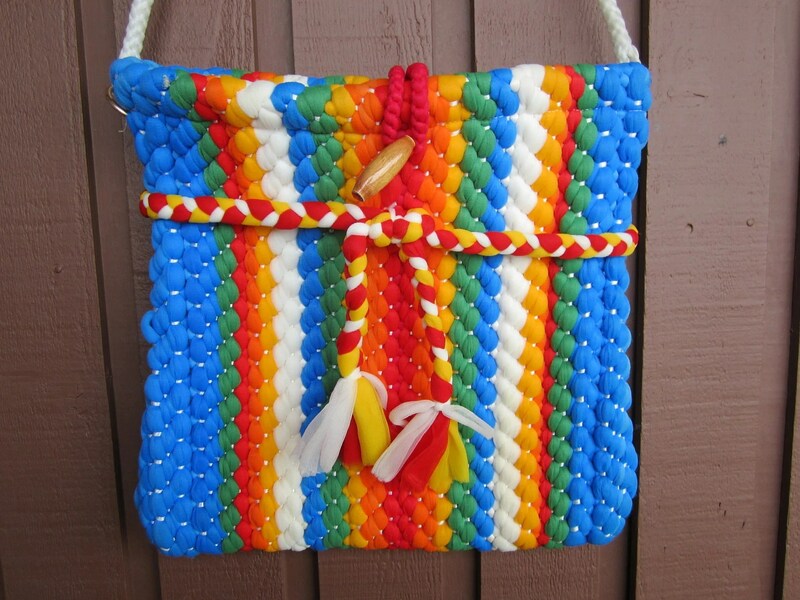 This “rainbow brite” purse is woven–and reminds me of the old potholder kids they had in the 1960’s and 1970’s. Super cool find, only $12 at FancyVintageFinds.